Only Echoes Remain are a London-based 4-piece that blend the classic ‘wall of guitar’ sound of This Will Destroy You with post-metal elements a la Russian Circles/If These Trees Could Talk, the atmospheric prog-y math of Karnivool with the emotions of Sigur Ros or Yndi Halda. Within their first year of forming Only Echoes Remain have already had the pleasure of sharing the stage with the Her Name is Calla, Totorro, Vasa, Poly-Math, Toska, Dialects, A-Sun Amissa and Waking Aida, to name but a few. UK tour dates will be announced soon but the band have confirmed they’ll be performing in London on Friday 23rd June at Brewhouse. As some of you well know I do like a bit of instrumental progressive rock. I find that without the words, the music takes on more meaning and you can lose yourself in a myriad soundscapes where it is you, the listener, that creates the story in your own mind. 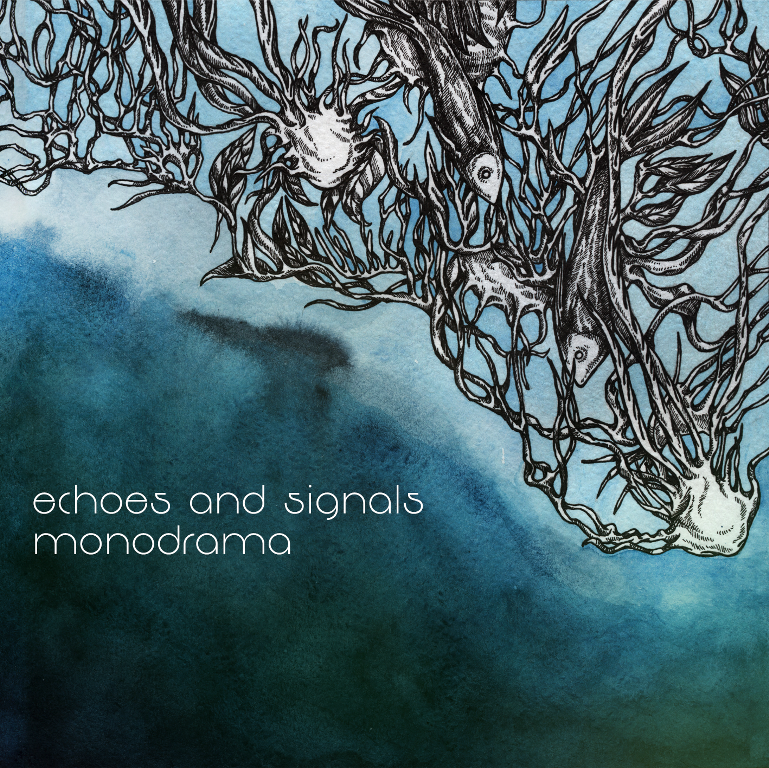 One of the excellent instrumental bands I have the pleasure to know is the Russian trio Echoes and Signals. 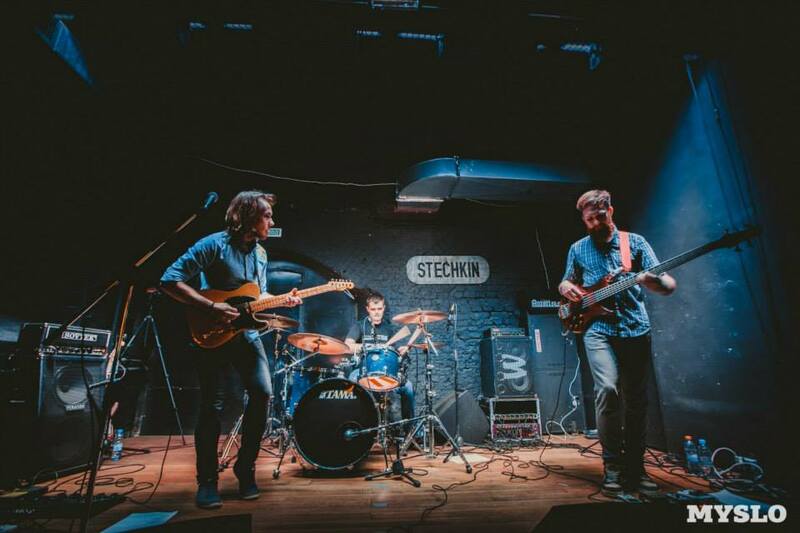 The band, consisting of Fedor Kivokurtsev (guitar), Alexey Zaytsev (bass) and Yaroslav Egorov (drums), were formed in 2012 in Tula, The Russian Federation, as an instrumental trio. They play music influenced mainly by post-rock and progressive rock elements. Originally Echoes and Signals was formed just as an improvisation playground for the founding members, but then it turned into a real project. Their first 4-song EP album called ‘Comma’ was released in July, 2012 and was followed by ‘Ouroboros’ in October 2013 and then the band’s first full-length release ‘V’ in November of 2014. “The songs of ‘Monodrama‘ are dedicated to insights, memories, unresolved situations, inner dramas, fantasies, and dreams expressed through music. It’s a collection of soliloquies ‘spoken’ aloud in order to build self-knowledge and awareness; the different dots of our inner mind-map connected together are creating a brand new system and a brand new motion. 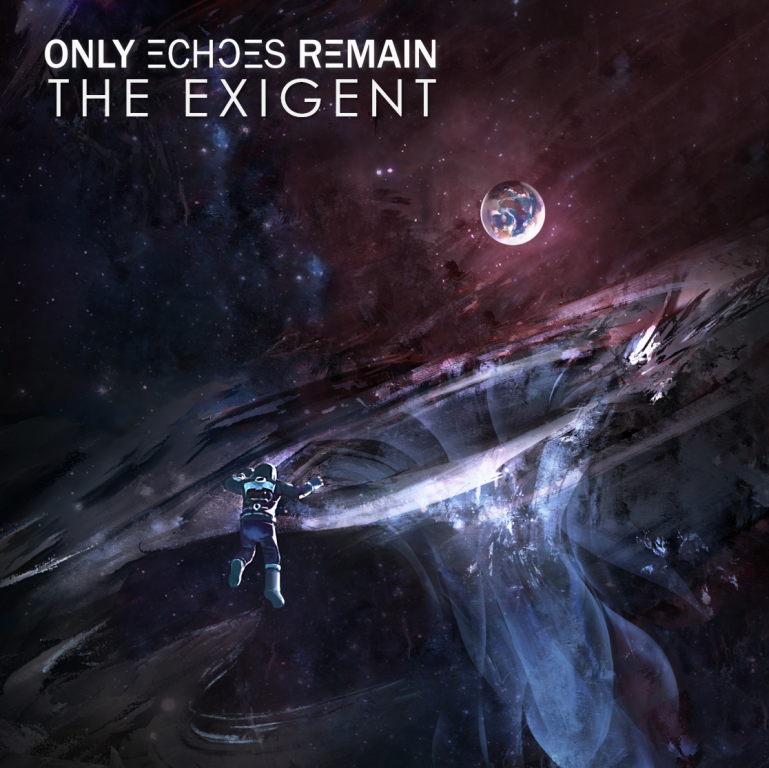 The new album also features a guest vocal appearance from Marjana Semkina of fellow Russian progsters iamthemorning on the only vocal track Lead Astray. The album opens with the enigmatic Saltwater, a chilled, laid back number that lets you join the ride at an easy point with a great bass line and dynamic drumming. The guitar guides you around the imaginary land that your mind is already concocting and the tempo increases with some added urgency. Stylish and with a decided touch of class about them, Echoes and Signals have matured rather well since their last outing. Ocean has a real lightness of being to it’s composure from the very first note. There is a real deftness to the guitar note, a delicate step as each note progresses to the next. You can detect a fluidity to this song as it segues from each section to the next. 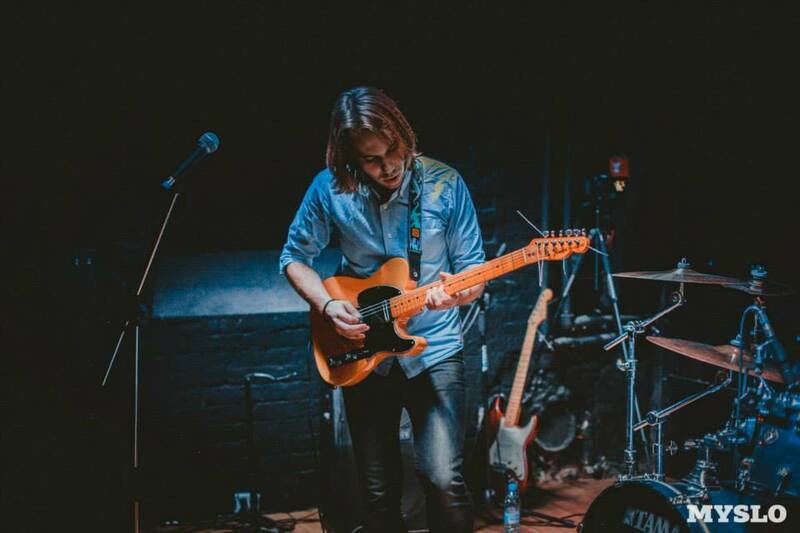 Once again Alexey and Yaroslav provide a superb rhythm section over which Fedor can lay his excellent guitar lines and you just end up letting the music flow over and around you, serenity in musical form. There’s more of that feel-good atmosphere throughout Station Horizon, a track with powerful dynamics but with a real upbeat tone running at the core. 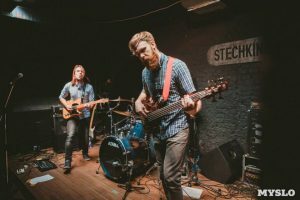 You feel as if you are on a fats paced journey with the band’s collective feet hard on the gas pedal. A joyous tumult of musical ideas that are never less than excellent but always have a smile on their faces (if they had faces obviously!). There are some great, tight & frenetic instrumental runs that add further to the enjoyable ride and I’m left with a big grin on my face. Bring the excellent voice of Marjana Semkina into the equation and things get more dramatic and emotional. Her soulful and touching vocal adds a really serious overtone to Lead Astray and the musical takes on a different feel, this time as a backing to Marjana rather than being the lead. It’s a subtle distinction but it’s definitely there and it produces a brilliant ying and yang of the elfin like qualities of the vocalist and the powerful dynamism of the band. It’s a mesmerising track that draws you in with some superb instrumental passages as well as the stirring vocals and gives pause to where the band see their future. A short and thoughtful sci-fi tinged track, Farewell Centauri is quite melancholy and nostalgic in feel and left me feeling somewhat wistful and reflective as it came to a close. Veins opens in a pressing and compelling manner, the edgy guitar, bass and drums having a skittish tone. It then opens up into a funky, acid jazz jam from outer space and I wouldn’t be suprised if this track was a load of fun to play live. The bass and guitar play off against each other and the drums drive everything along with an obsessive beat. Fedor throws in some fiery, emotive soloing to complete what is a very inventive piece of music. Ethereal and haunting, like a musical daydream, Magnolia is just a beautiful track that feels like a modern classical piece. 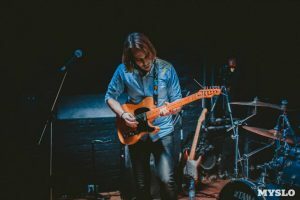 The guitar almost speaks to you with its plaintive and thoughtful timbre and the subdued drums and stylish bass just add real pathos and emotion. The song opens up into something more powerful but never loses that contemplation, almost questing for more and searching for answers. Skymap carries on with the thoughtful, challenging feel that pervades the whole album and has a composed and laid back opening where the music just dances along, as you move further along this musical journey it begins to ask more questions with a pressing and very catchy guitar motif that I particularly liked. The inquiring mind carries on in intricate fashion with some convoluted sections, studious and introspective. It is, on the whole, a really intelligent and inventive piece of music. The final track on the album is the nine-minute plus To The Lighthouse and is a superb ending to this excellent, mostly instrumental, musical tapestry. A sombre opening leaves you engrossed and contemplative, a more serious overtone then follows. It’s almost like an elemental force strides across the soundscape, not evil, just curious and not understanding of our world. The music has different shades of light running through it, from the light though to the resolute and you are a willing passenger on the quest, feeling each transition transfixing your soul. This song is an utterly mesmeric musical voyage into the unknown, who knows where you will arrive. Once again I am entranced by a great instrumental album release. Echoes and Signals produced something impressive with ‘V’ and, to my ears, they have just raised the bar again. With a new found confidence and maturity to their music, there are no boundaries to where they can go and I for one will watch their journey with interest. ‘Monodrama’ is another great musical export from Russia and it is one that everyone should be listening to. Through their enchantingly dark and evocative melodies, expansive arrangements and empowered orchestral sound Beatrix Players tell stories of real life and fantasy. 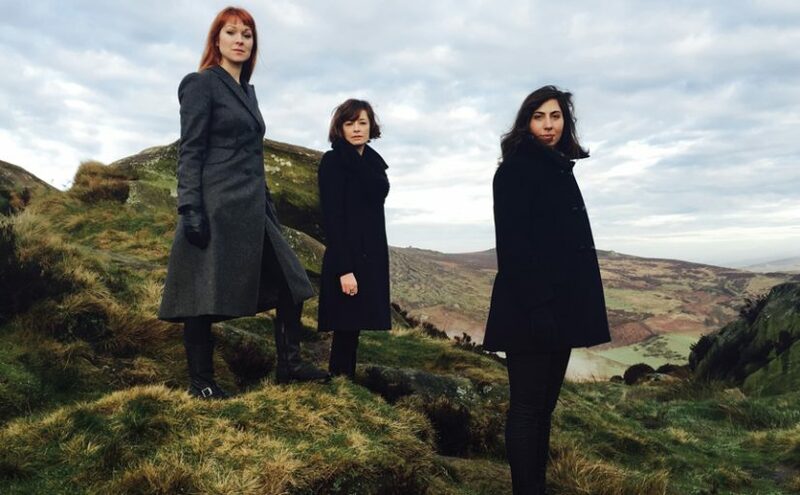 Citing influences as diverse as Michael Nyman and Regina Spektor and drawing comparisons to the likes of Kate Bush and Einaudi Ludovico, this London-based, all female trio combine elements of Folk, Jazz, Progressive and Classical music. In 2015 the band took their unique sound – a beautiful combination of vocals, piano and cello – into the studio to record their self-produced debut album, which has been mixed by two-time BBC Folk Award winner, Jim Moray. That album, titled Magnified, is now brought to you in an evening with musicians from the album with support from King of the Opera. 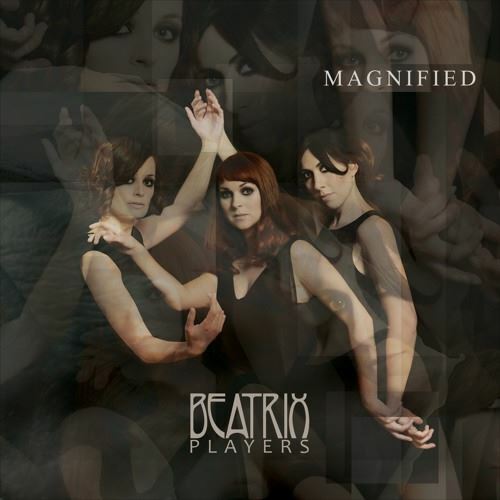 When purchasing tickets you have the option to buy the Beatrix Players Magnified Vinyl + Magnified CD for a discounted price of £10, available to pick up after the show where the Beatrix Players will be signing copies. Music that we review here comes from many different sources, be it record labels, public relations agencies, friends or even fellow music reviewers. If it comes from the latter two then you you can bet it is because the person who has tipped me off to the artist is a passionate supporter and wants recognition for these fledgling bands. For Concord, CA. band Arkaen it was an old friend and colleague from my days as a reviewer at Lady Obscure Magazine, RJ Dunn who pointed me in their direction and, boy, am I glad he did. RJ describes them as: “… a hard rock/ Tool kind of band, very solid stuff…”, and that was definitely enough to pique my interest. 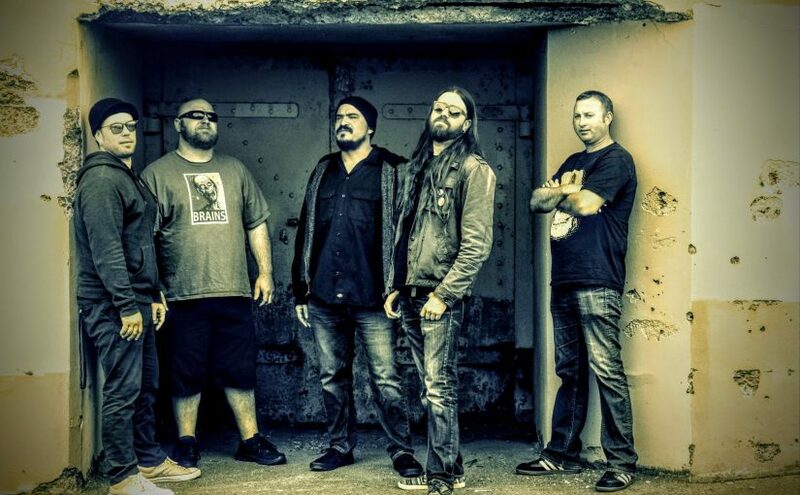 Coming from the same bay area in San Francisco as Lady Obscure Editor Emiritus RJ, Arkaen are singer Oriol (Uri) Nieto, bassist Eli Remas, drummer Sean Henson, and guitarists Joey Nunez and Garey Rickher. Their first, eopnymous, release is a four track EP. The EP opens with Innocence and a funky bass line that draws you in before the twin guitar leads hit you with an edgy riff and Uri’s emotive vocals begin. These guys are extremely tight and technically proficient. The music has a proper mountain moving heavy vibe to it without going too far in the thrash direction that I’m not particularly fond off. The song builds on its foundations creating a solid wall of sound along which Uri can weave his intensive vocal magic, as a taster for the rest of the EP it’s nigh on perfect. Again that ever stylish bass of Eli is the opening for When We Fall and it is followed by a riff hewn from granite, properly heavy indeed. The guitars provide a backdrop for Uri to hit you with the full force of his vocals, he has a great dynamic range. I feel like I’m listening to Metallica when they bestrode the metal world, these guys definitely have something about them. There’s a funky, edgy chorus and some cookie monster vocals that are followed by a burning solo that scorches across the track like the Fifth Horseman. A really enjoyable track full of heavy and thrash metal cues and one that left a smile on my face. The next two track are longer, both coming in at over seven minutes, and even touch on progressive metal tendencies. Bass line to introduce Just Another Lie? Yep, you got it! The song builds slowly with another leviathan crushing, monstrous riff and I can definitely hear the Tool influence on this track. Dark and dangerous, it takes no prisoners and brooks no arguments. The vocals are brilliant, Uri has touch of Bruce Dickinson about him in places and his voice appears to come from the very bowels of the earth. The driving force behind the song is the excellent rhythm section of Eli’s bass and the dynamic energy of Sean Henson behind the drum kit and they allow the thunderously expressive guitars free rein to provide an amazing sonic assault that knocks you flat before picking you up, dusting you off and then doing the same damn thing to you again. Are you complaining? are you hell!! There’s an anthemic glee to the song that is hugely addictive and it just flies by before coming to a slow burning close, epic! The final track on the EP is Gleam and it opens with an almost pop music keyboard note that caused me to raise an eye brow before normal service was resumed with a tectonic plate shifting riff and uptight vocal, backed by some highly strung guitars. The riff that follows is as funky as hell, almost as if Chic decided they wanted to cover a Megadeth track and really worked for me. The earnest vocals on the verse are backed by the excellent musicians but its the earthy chorus that really impresses on this song for me. The twin guitar trade- offs between Joey and Garey are really addictive and the solos they play are scintillating and note perfect. Another impressive song from this quintet that shows they have a lot to offer in the future. 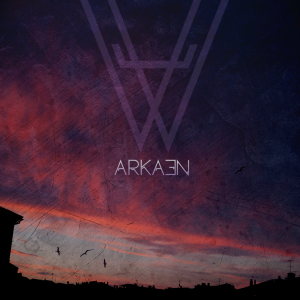 What you get from Arkaen is seriously professional musicianship backed by solid songwriting that grabs your attention, immerses you in the music and makes you want to listen to the whole EP over and over again. Heavy riffs, compelling vocals and rhythm section to die for, what more could you ask for from a debut release? I shall be brutally honest: I had forgotten that White Willow was still running as a functioning band. Maybe The Hedvig Mollestad project has made me think that way? The lack of any profile in the last few years or output had put them well in the back of my musical memory. 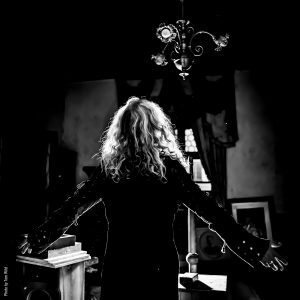 I was at HRH V Prog talking to old friends about the forthcoming album when it occurred to me how important profile is in the Biz we call ‘show.’ Therefore, essentially, I have come to this as if it’s a fresh band out of the box. 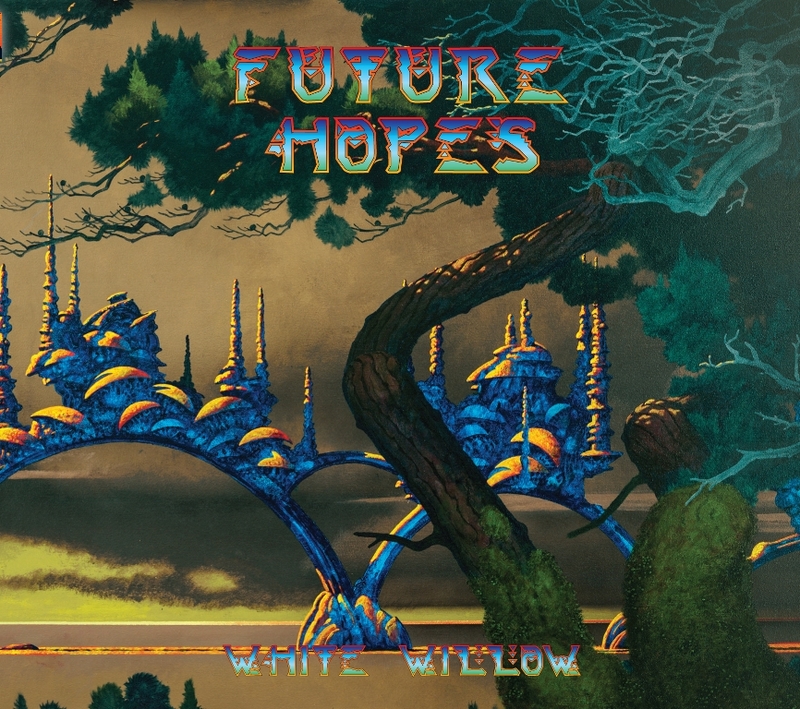 Sporting a cover courtesy of Roger Dean himself, this is a product that has set its sights on being a truly prog album in the classical sense but it is also a real challenge for the band themselves to achieve the aspiration worthy of such a historically artistic cover. Have they achieved it? We shall see by the end of the review. White Willow are Venke Knutson (vocals), Jacob Holm-Lupo (guitars, synthesizers, keyboards, backing vocals), Mattias Olsson )drums, percussion, e-bow, sounds & noises), Lars Fredrik Frøislie (synthesizers, keyboards), Ketil Vestrum Einarsen (wind controller, flute) and Ellen Andrea Wang (bass guitar), Hedvig Mollestad (guitar), David Krakauer (clarinet), Ole Øvstedal (guitar) and Kjersti Løken (trumpet). By producing a seven track album (including the two bonus tracks) the band have not fallen into the trap of needing to fill a CD’s worth of material for the sake of it but, instead, have focused on the quality of the product rather than blitzing it with a ton of excessive material that could swamp the real calibre of the music. Silver and Gold is very folk-like in style with an acoustic introduction and almost a duet between guitar and voice that has a poetry all of its own. There’s also a very Moogy keyboard subtly coming into the background followed by a doom laden drum instrumental middle 8 then back to the guitar and voice. This has hidden depths and would make an outstanding live track for atmosphere and melancholy. In Dim Days jumps straight up a gear and has a sonic landscape that is the total opposite of the previous track. You get distorted guitar and phasing through and through, it has a real symphonic feel to it reminiscent of Floyd in the Division Bell period. There is an open fullness to the track, if that makes sense at all? It has an epicness to it that allows a really effective exploration of the theme musically and lyrically without having to fill every second up with a million notes that swamp the listener. It’s definitely a high point of the album and this alone makes it a worthwhile purchase. 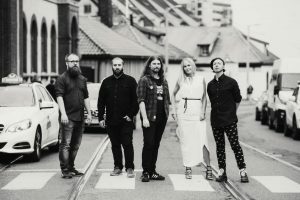 Venke Knutson is the new vocalist on this album and a stable back line from Opium Cartel . She provides a great vehicle for the lyrics and slots well into the line up. Now these guys have evolved over the last 21 years from a very folk base line to a band that has mature song writing and looks at adult themes. White Willow have placed their colours very firmly in the Traditional Prog territory but have retained a definitive identity of their own. I often do a sounds-a-like for reference in my reviews but not for the sake of “do they do a good … insert band name…” but mainly so you can have a point of reference as to whether this is going to be my cup of tea or not. 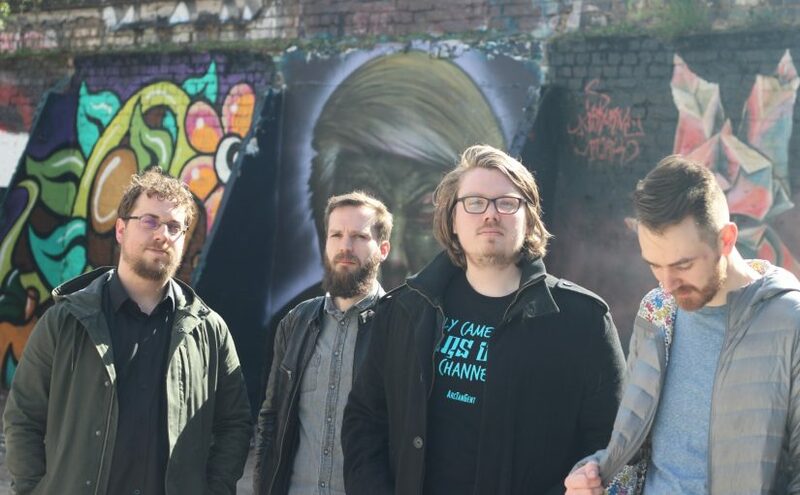 White Willow have a very firm identity of their own but sit very firmly in the atmospheric open grouping of bands that allow the music to breath and express itself. 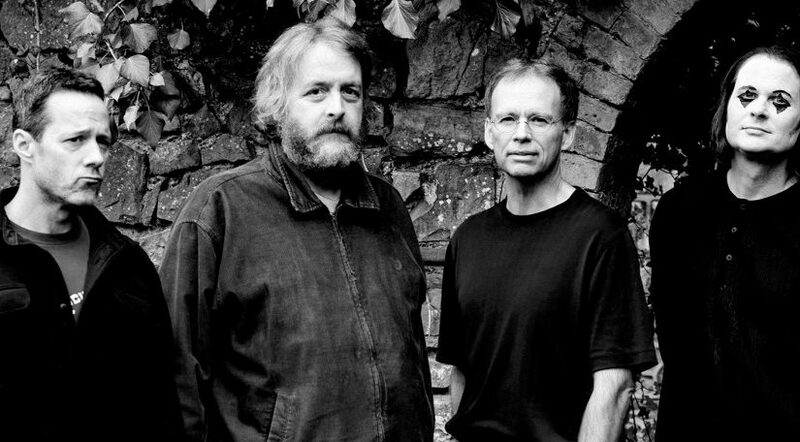 If Pink Floyd merged with Yes and Steve Wilson then recruited a female vocalist and then listened to Steeleye Span for a month before going into the studio, you may be close but it sounds nothing like any of the component parts. There is an interesting version of Animal Magnetism By The Scorpions as one of the bonus tracks that shows a great sense of musical history and humour. Fans of the band won’t be disappointed by this album and it will also attract new listeners. It does not bring down the walls of innovation but it does a sterling job of improving on White Willow’s reputation. Gig with this album guys and gals. Your classmates Anekdoten and Anglagard seem to have been far more in the fore-front recently. This album has amended that and set a line your turn to deliver! After deciding that he wasn’t busy enough touring with Steve Hackett, in 2015 Nad Sylvan signed a Solo contract with InsideOut music to bring us his first solo album, the excellent ‘Courting The Widow’. May 2017 sees the arrival of the eagerly anticipated follow up, ‘The Bride Said No’. 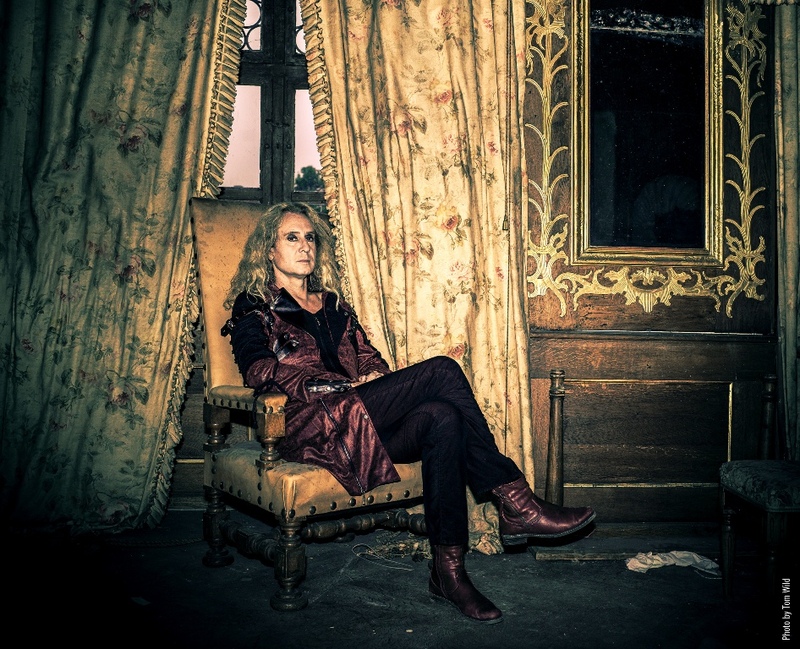 Whilst ‘Courting the Widow’ contained heavy overtones that were firmly routed in 1970’sBritish Progressive Rock, perhaps not surprisingly heavily influenced by Genesis, Nad has fairly and squarely put his own stamp on this new album whilst still acknowledging those influences. The album opens with Bridesmaids, a haunting melody played by Nad, with backing vocals from Jade Ell and Sheona Urguhart, which is used as a recurring theme throughout the record. It segues directly into The Quartermaster, a powerful song based around Nad’s exquisite keyboards which acts as an introduction to the Bride’s suitor and sets the plot for the story. It is also to be released as the first single and contains a very abrupt ending which caught me completely by surprise on first listen! 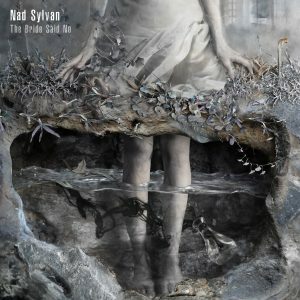 When The Music Dies is considerably more melancholic and shows off Nad’s vocal range to its imperious best. The story continues with The White Crown which has very strong Medieval overtones. Jonas Reingold’s distinctive guitar riff gives the song a harder edge and is a great contrast to Nad’s guitar throughout the rest of the track. What Have You Done is my personal highlight. It opens with gentle piano from Nad and backing vocals from Jade and Sheona with Jade also sharing the lead vocals with Nad beautifully. Steve Hackett and Guthrie Govan share the guitar duties with Steve starting the incredible soloing and they complement each other magnificently. Crime Of Passion follows and is a much more powerful song that still retains a wonderful melodic balance. A French Kiss in an Italian café begins with a tasteful guitar intro, Nad’s vocals then set the scene and we are led to a meeting with a stranger. Wonderful guitar work from Steve and Nad accompany the vocals along with Tony Levin’s ever expressive bass and there is a beautiful saxophone solo from Sheona to close the track. The Bride Said No is the albums finale and at first glance is a nigh on 20 minute magnum opus. It lasts however 12 and a half minutes and magnificently concludes the album. Tania Doko this time shares the vocals with Nad who also contributes with a wonderful “Emersonesqe” solo added to more splendid guitar work and an incredible solo from Steve. Drums and percussion are shared throughout by the excellent one-time Jethro Tull drummer Doane Perry and Big Big Train’s Nick DiVirgilio. Bass is provided by Jonas Reingold (of Swedish progsters Kaipa) and Tony Levin. The vinyl edition is three sided with the fourth being occupied by an etch in the manner of his stablemates Kansas’ last album. Doubtless, in the 1970’s, the likes of Todd Rundgren would have squeezed this on to two sides of plastic but I for one am ecstatic that we have three sides of pure listening pleasure which I am counting down the days to receive. 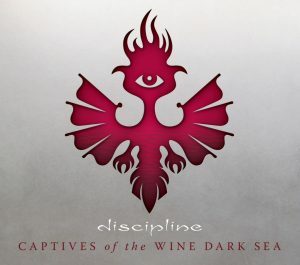 Detroit prog rock icons DISCIPLINE, advancing their fifth studio full-length and first for Laser’s Edge, Captives Of The Wine Dark Sea, have issued a new trailer for the album, as the label sets the record for July 7th worldwide release. 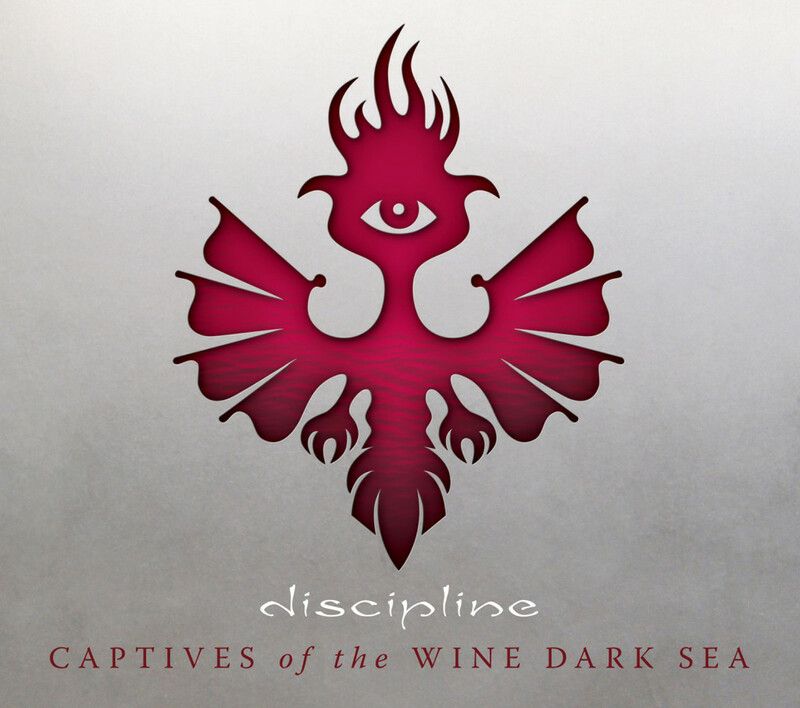 Laser’s Edge will release Captives Of The Wine Dark Sea worldwide on CD, LP, and digital formats on July 7th; stand by for more expansive audio samples, preorders, and more on the album to be posted in the days ahead. DISCIPLINE will perform several concerts in Europe this Summer, with a show in Madrid, Spain on August 30th, followed by a solo show from vocalist Matthew Parmenter show in Rome, Italy the following evening. September 2nd sees the band playing at Novara, Italy’s 2Days Prog+1 Festival on September 2nd before returning stateside. DISCIPLINE also plays September 23rd as part of the NJ Proghouse Series in New Jersey with Galactic Cowboy Orchestra, and October sees the band playing in Ferndale, Michigan with Necromonkey, and taking part in Progtoberfest III in Chicago. Additional tour dates supporting the new album are to be expected. 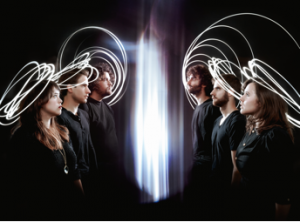 Bent Knee Announce New Album ‘Land Animal’ – out June 23 via InsideOutMusic/Sony – On Tour With Thank You Scientist + Headlining Tour Dates Announced. Bent Knee is unlike any band you’ve ever heard. Its borderless sound combines myriad influences from across the rock, pop, minimalist, and avant-garde spectrums into a seamless, thrilling whole. Its forthcoming album Land Animal-Bent Knee’s first for InsideOutMusic/Sony, released on June 23, 2017 -takes its sound to a new level. It offers a suite of songs full of addictive hooks, lush melodies and enthralling twists and turns that capture the reality of life in the 21st Century-a reality of people and nations in the midst of tumultuous change. It also communicates a ray of hope and desire for listeners to embrace the fact that they’re not alone in their struggles. You can watch the beautiful, provocative video for “Land Animal.” Directed by Greg Bowan, the video explores the inner conflicts people have as they endure daily stresses and lose the big picture view on what really matters in life. 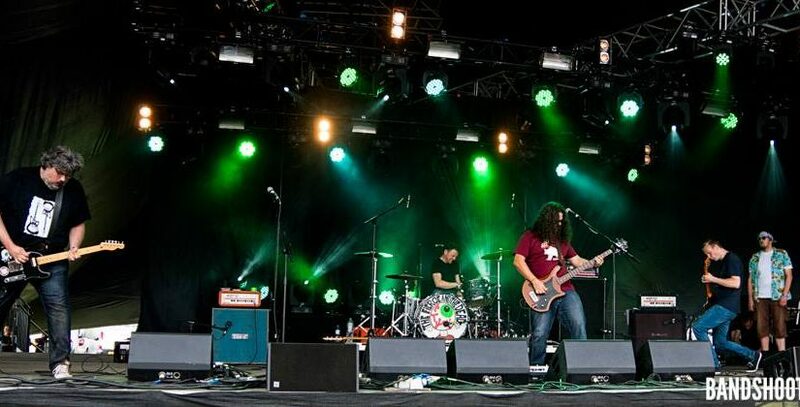 Bent Knee formed in 2009 as a democratic collective determined to push the boundaries of pop and rock. Lead singer and keyboardist Courtney Swain’s soaring vocals are instantly arresting. Guitarist Ben Levin is one of the most dynamic and versatile guitarists around, shifting between the raging and raucous to the sublime and meditative. Bassist Jessica Kion and drummer Gavin Wallace-Ailsworth combine into an enthralling rhythm section that’s equal parts powerhouse and nuance. Violinist Chris Baum’s kinetic violin work provides drama, grace and intrigue. World-class producer and live sound designer Vince Welch weaves it all together with a captivating, expert touch. 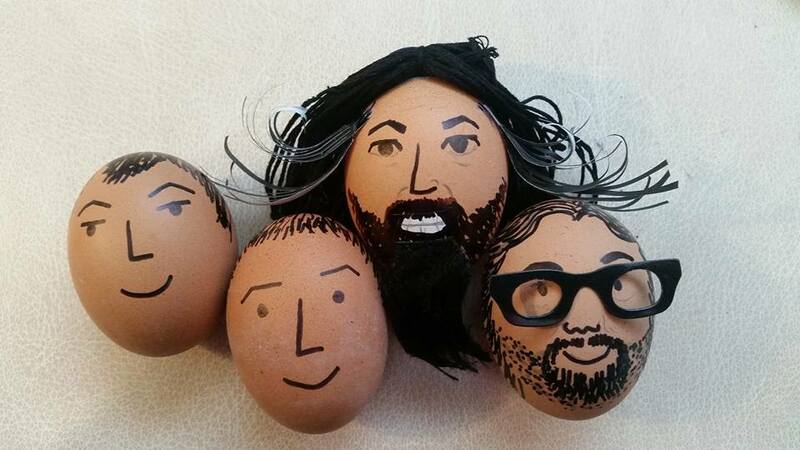 The band has gone from strength to strength in recent years. Its last two albums, 2016’s Say Soand 2014’s Shiny Eyed Babies, were hailed as significant art-rock achievements. The group has performed hundreds of shows across the world to date. 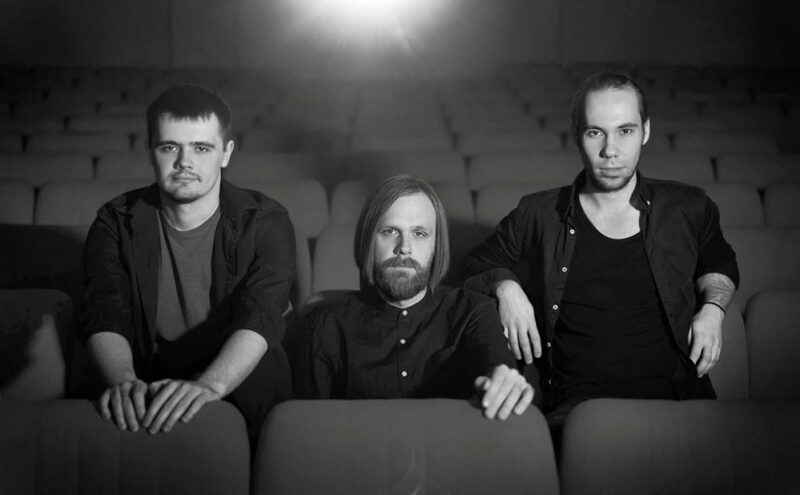 During the fall of 2016, the band played for ecstatic audiences as an opener for the U.S. leg of The Dillinger Escape Plan’s farewell tour ahead of signing with InsideOutMusic/Sony. The band is now on tour in America. During April and May, it opens for the expansive rock act Thank You Scientist, known for its combination of progressive and jazz influences. Bent Knee then continues in June with a headlining tour. See full routing below. Pre-order Land Animal on iTunes today, with instant download of the title track. Further preordering information coming soon. Airbag co-founder, songwriter and lead guitarist, Bjørn Riis will release his second solo album, ‘Forever Comes to an End’, in May 2017. The album is the follow-up to the highly acclaimed and awarded debut, ‘Lullabies in a Car Crash’. ‘Forever Comes to an End’ feature seven songs, with inspiration from classic rock, prog and movie scores. Bjørn’s unique guitar playing has a centre role, with soaring leads, heavy riffs and beautiful textures. Lyrically, the album deals with broken relationships and loss and the emotional duality between resentment and forgiving. 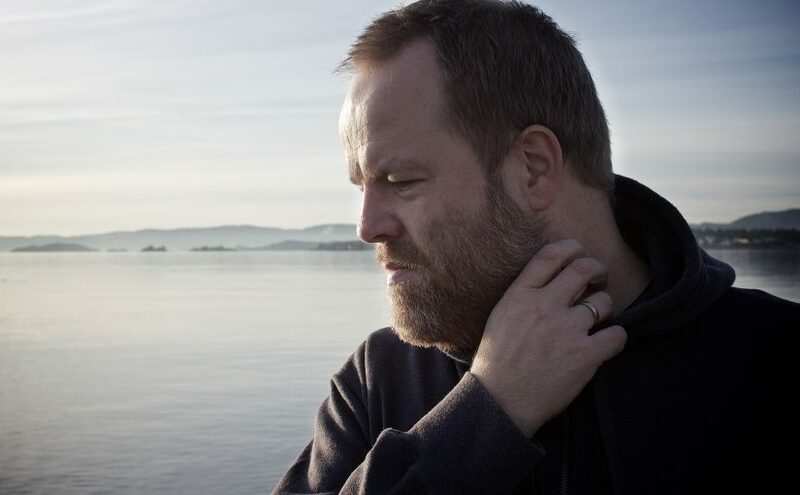 The album is very much a tribute to all of Bjørn’s musical influences. From the dark and dirty riffs of Toni Iommi and Zakk Wylde, to the emotional playing of David Gilmour and Steven Rothery. 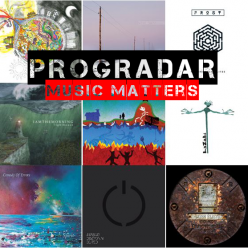 The melodic and sombre voice of Steven Wilson and Tim Bowness and the cinematic landscapes of composers like Thomas Newman and John Barry. 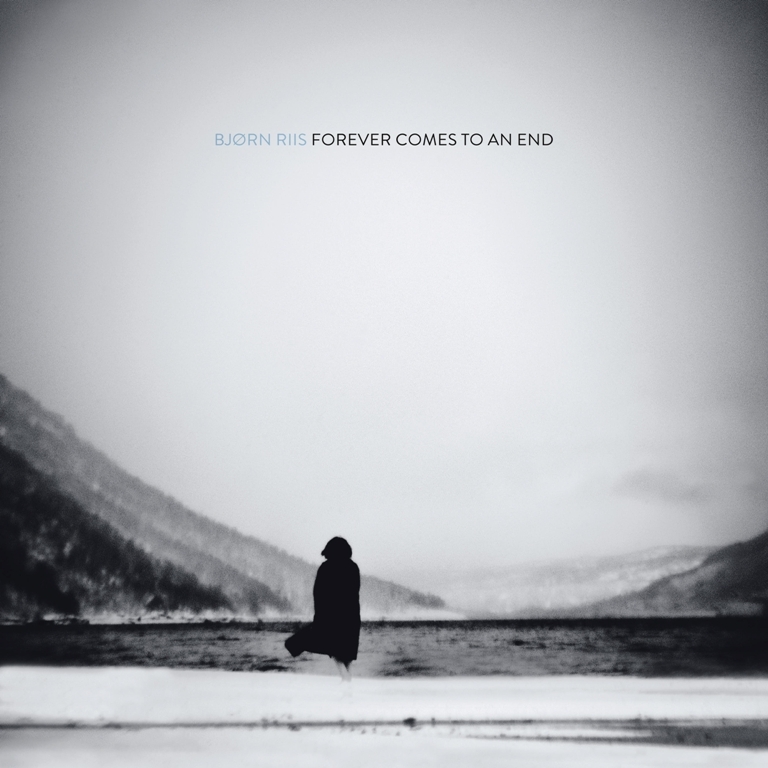 ‘Forever Comes to an End’ feature appearances from Airbag’s Henrik Fossum (drums) and Asle Tostrup (programming), Simen Valldal Johannessen from Oak (piano) and Norwegian singer, Sichelle Mcmeo Aksum (vocals). Norwegian photographer Kjetil Karlsen, has provided the front cover image, taken in beautiful Beisfjord near Narvik in Northern Norway. Design and layout is by Asle Tostrup. 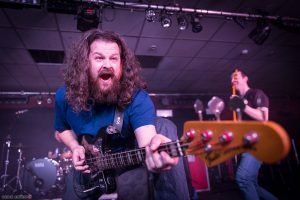 Despite saying they would be easing off a little after last year’s hectic release schedule, Bad Elephant Music (BEM) are showing no noticeable signs of slowing down in unleashing new music to our ears for 2017. 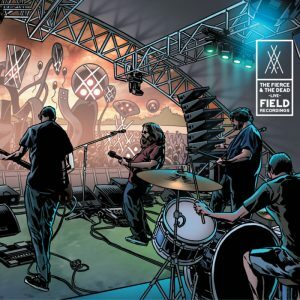 Soon to be released and highly anticipated is the ‘Field Recordings’ EP from one of BEM’s rising bands The Fierce And The Dead, (TFATD) and catching them in all their glory, live from last year’s Ramblin’ Man Festival. It includes four of the regular favourites and two new tracks, which the band tease may or may not appear on the new album which they are currently recording. Matt Stevens – guitar/loops, Steve Cleaton – guitar, Kev Feazey – bass and Stuart Marshall – drums. 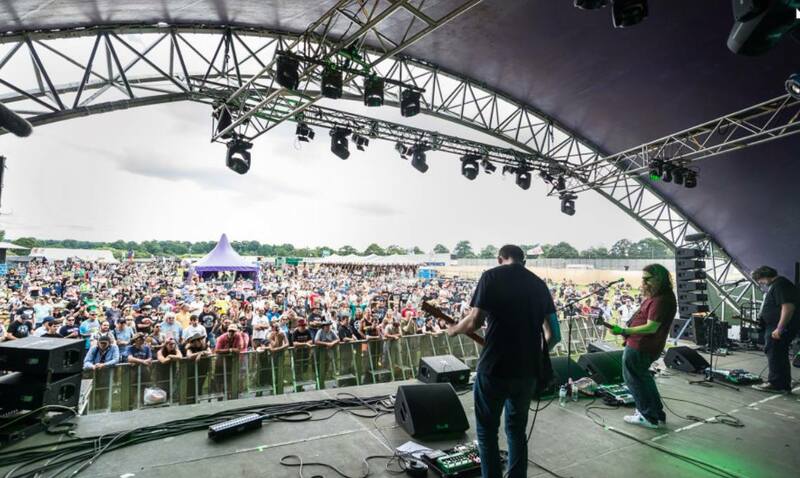 Serving up a sound that continually evolves taking in every genre they can squeeze in and veering from scuzzy guitars to chilled Hawaiian licks we find jazzy undertones married to punk style jerks and everything in between, moulded into their own distinctive sound. You can never get too cosy listening to the chilled rippling strings, because just as you sink into your deck chair, hanky on head with a cool drink in your hand you can be hit with brutal metal riffs and twitching rhythms that will have you up and jumping around, your head waving wildly like a rag doll. Their loyal and growing following have already seen them supporting Crippled Black Phoenix and The Aristocrats among others. Now whilst I have the band’s recorded output I must confess I have yet to have the opportunity to see TFATD live, something I must remedy in the future, so I can only review this from listening and using my wildly vivid imagination. They kick straight in after the briefest of understated introductions, blowing any clouds away with the fast distorted riffs of Magnet In Your Face and anyone trying to chill is brought abruptly back to the land of the living. They lay on a few laid back chords like cars drifting smoothly round corners then crash back into the fray with Stuart’s drums careering like one huge pile up on the biggest of motorways with Kev Feazey’s bass weaving like Vin Diesel through the traffic as Steve and Matt’s guitars flick the NOS switch and hurtle to the finish line. But there is no pit stop or time to refuel as it’s straight into Ark, with the guitars switching briefly to cruise after the bass revs it’s engine. But the temptation to rev will out and throughout the chilled rhythm the drums pull at the choke and the plugs spark in bursts. Many albums can be lost in the studio as they are mixed and chopped, losing the ‘live’ feel. 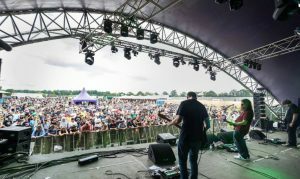 So it’s nice to hear the crowd and banter haven’t been removed from between the tracks and a credit to Mr Feazey’s mastering capabilities that he retains the atmosphere and gives him the chance to introduce the band before the next track, Dancing Robots, (a new one for those who do not have the knowledge). Looping guitars drift in as the drums tick over before the bass presses the start button and we side-slip into the traffic before whipping out on to the fast lane racing weaving through the crowd and away. We are treated to the sounds of tuning and a short modest merch promotion, before being introduced to another new track Verbose which will ‘probably’ be on the new record out this year. 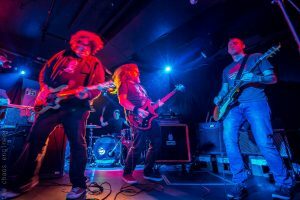 Drumsticks count us in and then frantic short riffs followed by the throbbing bass blow the wind through our hair and from somewhere I’m reminded of ‘Radar Love’ before the intensity builds and gains pace, all the while the bass driving the tune on. This is probably the heaviest track on this EP and ends with screaming distorted guitar as it slides down the scale. Perfectly suiting the open top car on a sunny day, a looping Hawaiian lick introduces us to Palm Trees, the only track with ‘vocals’, but you’ve no sooner taken your beach towel out of the boot and spread it on the beach, when a huge wave of distortion hits you and you are left soaked in crumbling guitar notes. Last track, live favourite 666…6, is introduced as the band’s hit single to a ripple of appreciation from the audience. Looping tropical chords warm up the engine one last time twisting through the air before a Biffy Clyro style riff changes gear and rips through them. Down a gear again to the loop before the band rev again. It’s like trying to reign in a muscle car that doesn’t want to cruise and pose along the sea front but would rather burn rubber and screech down the road towards the dramatic climax. This is how to burn out a musical clutch. The speed builds and it all comes to a crashing end, fading out as the crowd applaud and cheer an exhilarating performance. For anyone not having heard the band previously I can heartily recommend this as not only do they revel in playing ‘live’ but it is a great taster for the distinctive TFATD sound. Then if you like it make sure you catch up on the rest before the new album comes out later this year. If I can also give a special mention to the fabulous cover art from the legendary Mark Buckingham, nice. ‘Field Recordings’ is how live music should sound and many bigger bands could learn from this. Looking forward to the new album boys.